Who doesn’t love to party on a Saturday night!!! 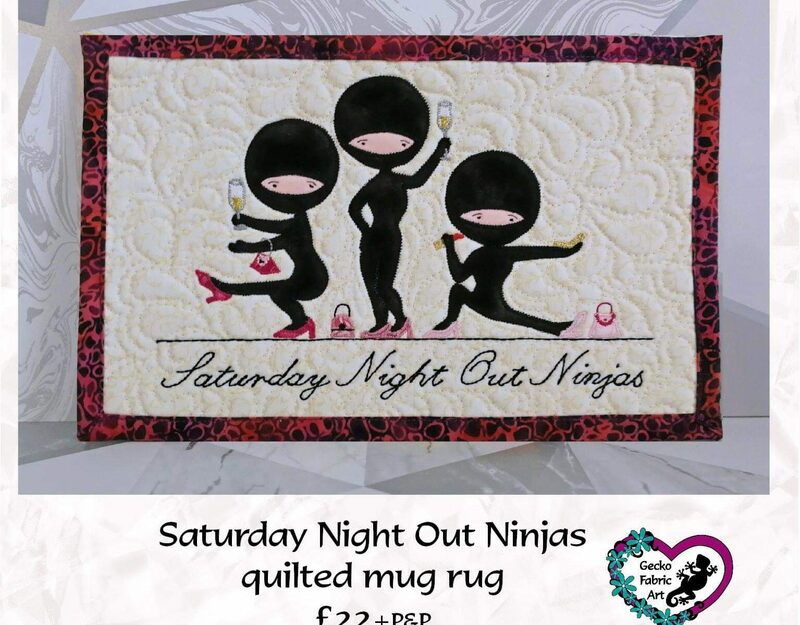 Well why not grab yourself a ninja mug rug to rest your glass of bubbly on while you get ready!! 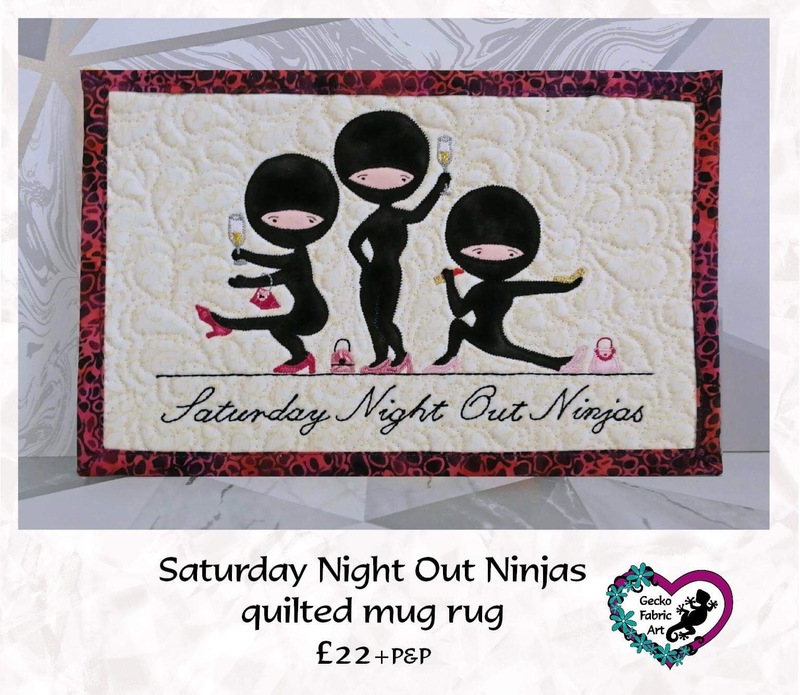 The Ninjas are part of a series of illustrations from Jennysis and been created into these amazing rugs by Gecko Fabric Art. A wonderful collaboration! 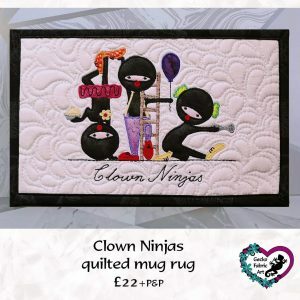 So what is a mug rug?? Well, it is like a coaster but much bigger! 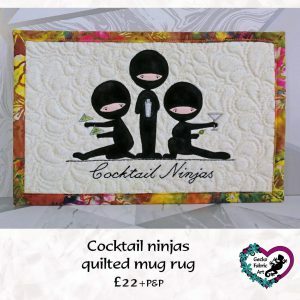 A washable mat to catch any drink or food spills and to make any desk or side table the envy of all your friends…. 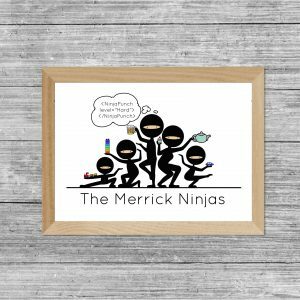 including Ninja friends! 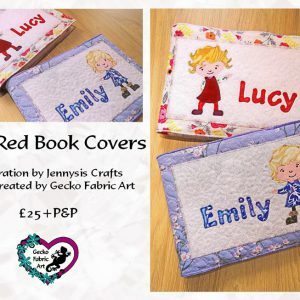 Each mug rug is made to order so delivery times can take up to 2 weeks. 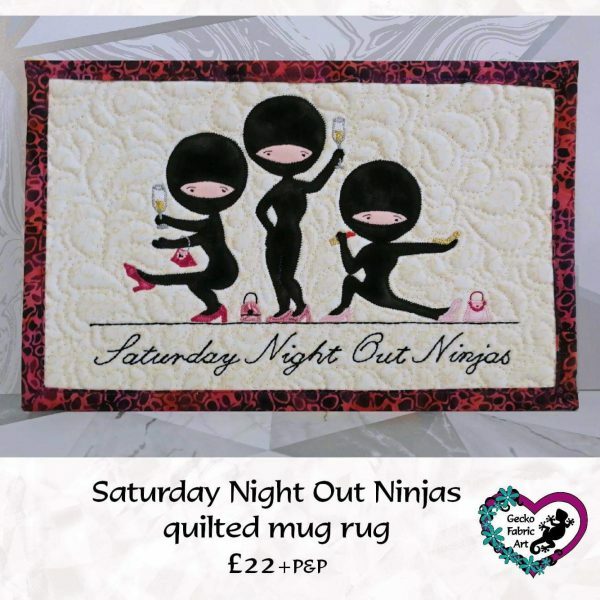 There are several designs in the Ninja series and they can also be made up into mugs so do feel free to get in touch.